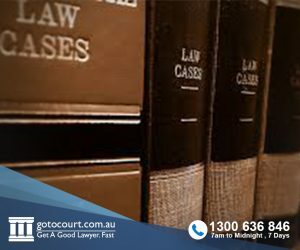 Senior Associate Carl Paterson Finch represented a 53-year-old woman at the Melbourne Federal Circuit Court on 1 February 2016 and 9 May 2016 in relation to her family law property proceedings. The case involved a husband and wife who separated some years ago and attempted to resolve their property matters without legal assistance. The husband had re-mortgaged the family home post-separation to finance his business ventures. In return, he had agreed to pay the mortgage on that home and allowed the wife and their daughter to remain there. The husband then reneged on the deal several years later and attempted sell off the family home where the wife and their 12-year-old daughter still resided. The wife, who was on a carer’s pension, was now out of time to bring family law proceedings. The husband’s measly offer would have left her and their daughter out on the street without enough money to afford a deposit on a new home. The husband would retain his other property, his superannuation, and the lucrative business propped up by the re-mortgage on the family home. Our client was at risk of being denied access to justice if the court did not take into account her contributions and future needs. Our preparation, representation and persistence resulted in our client being granted access to justice under the family law. We ultimately settled the matter for over $100,000.00 above the husband’s original offer. This saved our client from renting for the rest of her life and allowed her to re-enter the housing market to provide a stable and secure home for her daughter. That result was achieved by refusing to give in to low-ball offers and supporting the vulnerable party to ensure a just outcome. This case illustrates the importance of quality representation and the value of a solicitor like Carl Paterson Finch who will support all of his clients through the toughest times of their lives.